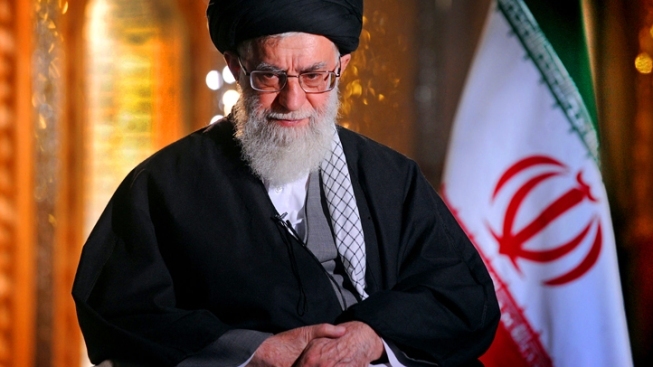 Ayatollah: Nuke Deal Won't Stop Opposition to 'Arrogant' U.S. Despite striking a nuclear deal with the United States and other world powers, Iran remains sharply at odds with American policy in the Middle East, Supreme Leader Ayatollah Ali Khamenei said in an address on Saturday, Reuters reported. Under Tuesday's deal, sanctions will be gradually removed in return for Iran accepting long-term curbs on a nuclear program. But Khamenei said Saturday that Iran would not allow the disruption of its revolutionary principles or defensive abilities. "Even after this deal our policy toward the arrogant U.S. will not change," he said, noting Iran wouldn't waver from supporting its "friends in the region and the people of Palestine, Yemen, Syria, Iraq, Bahrain and Lebanon."